The interpretive center is an outstanding display of the meeting of cultures. The Corps of Discovery, Sacagawea, the Sahaptian-speaking Native Americans and area history are its focus. Visitors can touch items, listen to songs and feel what it was like to pull a bow or use a pestle. Versión en español del texto principal de la exhibición. Ya que temine su tour del centro interpretativo, por favar devuelva éstaguía a la recepción. 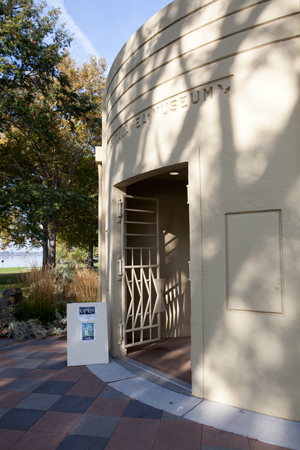 The interpretive center is generally open April 1st to October 31st from 10am to 5pm, Wednesday–Sunday. For specific days, see our calendar or call the park office at (509) 545-2361.